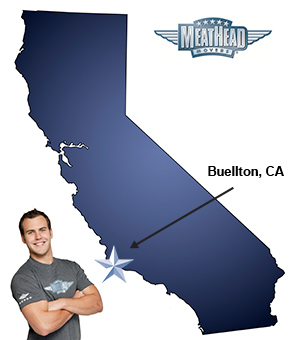 If your future includes a move to Buellton, check out Meathead Movers! Our professionally trained student-athlete movers, moving concierge, and princess packers are prepared to get you safely moved into your new home. If you are moving to or from Buellton, we are the moving company for you! Our professionally trained student-athlete movers and our moving concierge service are here to help you with every stage of your move. Located between the quaint villages of Solvang, Santa Ynez, Ballard, and Los Olivos; Buellton offers its own unique charm. The town was founded during the gold rush, eventually playing home to several dairy and agricultural farms. Today, it has a variety of restaurants including famous Pea Soup Anderson’s, you’ll be sure to find something to satisfy even the pickiest of palates. The city of Santa Barbara is just 40 miles away, which offers a vibrant night life and cultural attractions. Buellton also offers a variety of scenic bike route, hiking trails, and golf courses that will provide endless hours of exploration. If you’re into wine tasting, beer, and the spirit scene, this small town is a hidden gem of the Central Valley and is famous for its award-winning Chardonnay and Pinot Noir. If you are considering moving to the area, Meathead Movers is here to help. Our moving company specializes in local, long-distance, and commercial moves. We also provide reliable packing, storage, on-site relocations, and our distinctive moving concierge service, which connects you with local service providers. All our student-athlete movers are thoroughly screened and trained before their first move. With branches not just in Buellton, but all throughout California, we are your one-stop resource for all your moving needs, no matter where your California move takes you. In fact, you can check out our reviews to see what your neighbors have to say about us. With our 100% satisfaction guarantee, the only thing you have to lose is the stress that comes from moving! So contact us today for a free no-obligation moving quote and to learn how we can help you on your next move! Moving to Buellton? Here are some helpful resources. Professional, friendly, organized, and thorough and attention to detail. All the energy and hard work made my life so much easier the rate was reasonable with no worries about scams. I've already recommended meathead moving to a few exercise groups I belong to. Your company lived up to all the hype! Your company was recommended to us by our son so we had to try you out and we were not disappointed! We had to change our move date three times due to new construction finish dates then escrow delays but your company Never resisted changing the dates. As a matter of fact your reps made us feel Good about the changes as we were feeling pretty bummed with all the delays so thank you again Meathead movers. You have great staff! Oh Yeah the Movers were Great and efficient. Adrian Huth,very real and satisfied customer. Great team of movers. Very professional. Organized, on time and efficient. Would highly recommend your company! Very professional, excellent moving thank you!